The end of the pager era is nigh in Japan after five decades as the country's last provider announced on Monday it would be scrapping its service next year. Tokyo Telemessage, the only pager service provider left standing, said it had decided to terminate its service to Tokyo and three neighbouring regions in September 2019 -- describing the development as "very regrettable". "Pagers were once a huge hit... but the number of users is now down to 1,500," the company said in a statement, adding it had stopped manufacturing the hardware device 20 years ago. 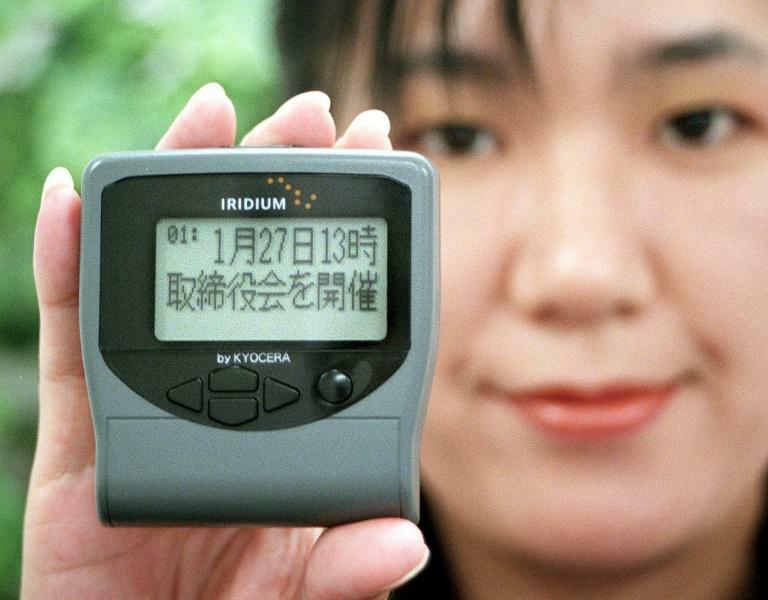 Pagers -- known as "poke-beru" (pocket bell) in Japan -- became very popular in the 1990s especially among high school girls obsessed by their primitive text messaging functions. At break time, long queues of high school girls would form outside public phones as they frantically punched in numbers which were then converted into short messages to classmates and boyfriends. At the 1996 peak for the technology, the number of users reached more than 10 million, according to government data. But mobile phones quickly consigned pagers to the technology dustbin. Major telecoms company NTT, which introduced pagers back in 1968, stopped its service in 2007. Visitors to Japan are often surprised at the contrasting use of technology in Japan. On the one hand, Japan is a land of high-tech and futuristic gadgets but can also sometimes be bizarrely old school -- for example, faxes are still routinely used as a method of communication. When the last North Korean missile flew over Japan, one of the more surreal moments was TV footage showing Prime Minister Shinzo Abe learning about the emergency -- on his flip-phone. And the Japanese minister in charge of cyber security recently made international headlines when he admitted that he delegated computer work to others. Yoshitaka Sakurada, 68, who is also in charge of the 2020 Olympics, also appeared confused by the concept of a USB drive.